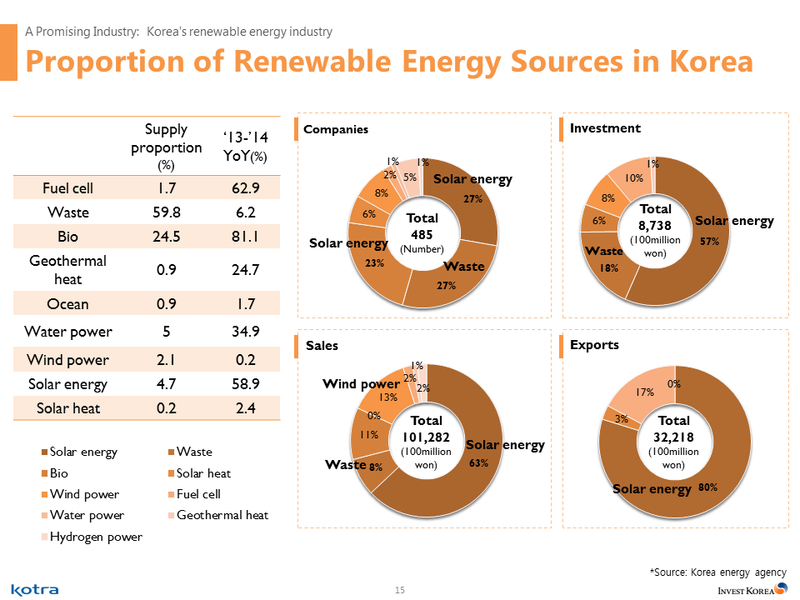 Korea and Japan are the main destinations of the wood pellet market especially for producers in Southeast Asia. Korea with Renewable Portolio Standard (RPS) policy, while Japan with feed in tarrif. So the estimated needs of wood pellet of both countries reached 10 million tons in 2020 and so on. Currently most of the supply of wood pellets in Japan from Canada and for Korea in supply mainly from Vietnam. 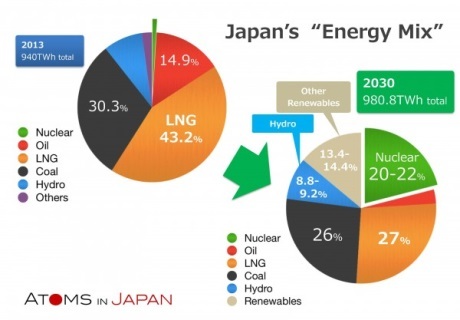 In 2019 and beyond in Japan will be importing wood pellets in large quantities because a number of power plant facilities began to operate. 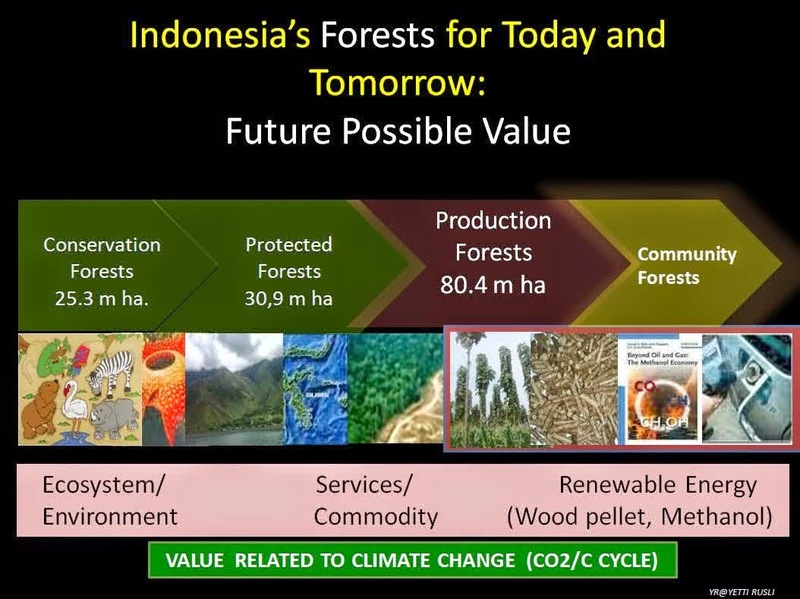 Based on a number of analyzes, one of them can be read here, there was a decline in the production of woody biomass in Southeast Asia from 815.9 million tons (16.3 EJ) in 1990 to 359.3 million tons in 2020 predictions. This condition occurs due to deforestation and excessive logging (including illegal logging). The destruction of the forest is certainly a cause of concern for the disaster also needs to be solved solution as soon as possible. Reforestation can be done as a solution to forest destruction. There are two types of tree groups for the solution of fast growing species and slow growing species. Determination of both types of trees in accordance with the vision and mission of the forest area concerned. In addition, there is also a production forest area that can be used for wood production for energy or especially wood pellet production. Rapid rotation trees such as calliandra are suitable for production forest areas or industrial plantations. The production of wood pellets from the above energy forest or energy plantation in an industrial timber estate is an ideal concept. With such energy plantation even the supply and continuity of raw materials will be more secure and sustainable because of the wood harvested from the planted plantation itself. Production capacity can also be large in proportion to the size of the plantation. 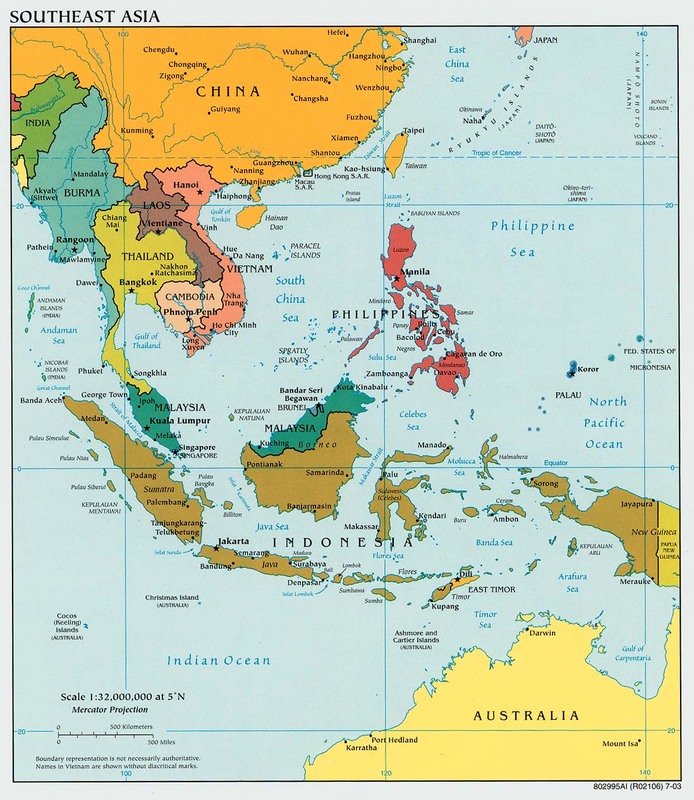 Countries in Southeast Asia have generally still have a large land and are in a zone of tropical climate so that its development potential is very strategic. The tropical climate plus high rainfall makes the growth of trees in the energy plantation to be optimal. Subtropical climates, although they can produce wood from energy plantations but will take longer, and even less rainfall. 1 year time in eg Indonesia will be equivalent to 4 years in subtropical countries for the production of woody biomass from the energy plantations. 1) The leaves are green all year round. 2) The distance between trees tight and the thick leaf cover. 3) There are layers of plant species. 4) Underage is rarely encountered. Indonesia has the largest forest among the countries in Southeast Asia, but it also has the largest area. Forest area reaches about 60% with mostly outside Java. Java Island is the most populous island with 60% of Indonesia's population live there, seen the most luminous island of Java when photographed with satellite at night. There are 80 million hectares of production forest that can be used for various industrial tree crops, especially energy forests or plantations for wood pellet production. Currently, it is estimated that 59% of Malaysia's land is still in the form of forest. Efforts to repair forest destruction due to erosion continue to be done Malaysia state. Various high value added crops continue to be pursued, including how to generate faster profits such as rattan for intermediate harvest before the main harvest takes longer. Energy forests or plantations that can be harvested with fast time, without replanting up to tens of years will be an attractive option. In 1961 an area of ​​56% of Thailand is a forest area. But in the 1980s the forest area had been reduced to less than 30% or vanished as much as 130,000 km2 (26%). Hardwoods such as teak have dominated the forest timber products. Efforts to restore the forest area, while reducing the pressure of forests for deforestation are urgently needed. Making energy forests or an plantationsfor wood pellet production will provide a solution to the problem, as it will drive a forest-based and sustainable economic sector. The topography consists of hills and dense wooded mountains, with lowlands covering no more than 20%. Mountains account for 40% of Vietnam's total area, with small hills contributing 40% and tropical forests 42%. Energy plantations or forests will also be an attractive option for sustaining forests and driving the economic sector. The Philippines is an archipelago country that has many volcanoes as a series of Pacific Sirkum Mountains. The fertile soil conditions strongly support agrarian activities covering agriculture (in the form of rice, corn, and abaca or manila fiber), fisheries and forestry (almost half or 40% of land area is forest). In addition, the river is short-flow with a heavy flow can be used as a source of energy. Energy plantations or forests for wood pellet production will also be attractively developed even with the supply of electricity from hydroelectric power, thereby completely free of fossil fuels. Cambodia actually has great forestry potential. Recorded in 1969 forest area in Cambodia more than 70%, but in 2007 to less than 5%. The country is considered one of the world's highest deforesting countries. More than 25,000 square kilometers of forest disappeared during that time. Reforestation efforts continue to be pursued. Energy plantations or forests can be one solution to reforestation while suppressing deforestation. The forest in Laos is also very wide which covers about half the country. The forests enter tropical rainforest, bamboo forest, and mixed forest. About 70% of the Laos region is mountainous and there is Mount Bia as high as 2,819 meters which is the highest mountain in the country. However, these forests are in danger because of excessive logging in areas such as the South and Southeast. In early 1993, the Lao government proclaimed 21% of the country's territory as the National Biodiversity Conservation Area (NBCA), which may be developed into a national park. Once completed, it is expected to be the best and largest national park in Southeast Asia. Energy plantations or energy forests can be an ongoing solution to reforesting bare forests while creating jobs with wood pellet production. Myanmar has a varied landscape from the lowlands to the mountains. The number of large rivers and volcanoes cause the soil conditions are very fertile. It is very supportive for agrarian activities such as agriculture, plantation, and forestry. Almost 52% of the area is still in the form of forests that produce a lot of timber. Teak is primarily the main product of forest wood in Myanmar. Energy plantations or forests with rapid rotation for wood pellet production will be an attractive option. This is because to produce teak takes decades, while wood from the energy plantation for wood pellet production only takes one year and can be harvested continuously throughout the year. The processing of biomass into wood pellets is essentially compaction (densification). After the particle size and dryness level are appropriate then the biomass can then be pelleed. If the biomass does not have the appropriate size and level of dryness then it needs to be prepared with a certain pretreatment so that it can reach the condition. A sizing and drying equiment is commonly used to achieve the condition. Sizing equiments are usually chipper and hammer mill. The two stages are reduced in size to ensure the desired particle size. 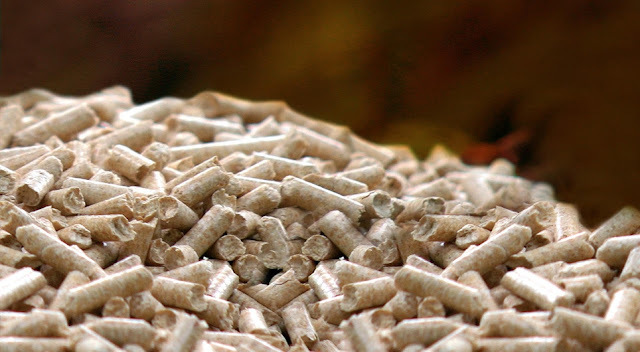 An appropriate particle size makes the pellet density to be of the expected standard. Rotary dryer or drum dryer is a drying equipment commonly used to achieve the expected dryness level, which is about 10%. Too dry or too wet will result in the quality of resulting pellets. When the raw material is too dry the pellet is not formed but if the raw material is too wet the pellet surface will crack and break easily when cooled. The shape and size of die on the pelletiser also vary according to the type of wood used. To get optimal result that almost all raw materials can be converted into pellet and only very little still remain in the form of powder (fine), then the size and shape of the die must be in accordance with the characteristics of wood powder or raw material. Once out of pelletiser, wood pellet then cooled so that it becomes hard and has a smooth and shiny surface. Cooling is also done gradually so that the pellet is not cracked and broken because of a drastic reduction in temperature. Counter current type of cooling is commonly used for cooling. With the counter current mechanism the cooling process can run gradually so that the quality of pellet is maintained. After cooling, wood pellets are then sieved to separate with the dust and last stored or in packing for subsequent ready for sale especially export market.